The Kobra 550-AP 22" Auto-Press Office Guillotine saves time and money. 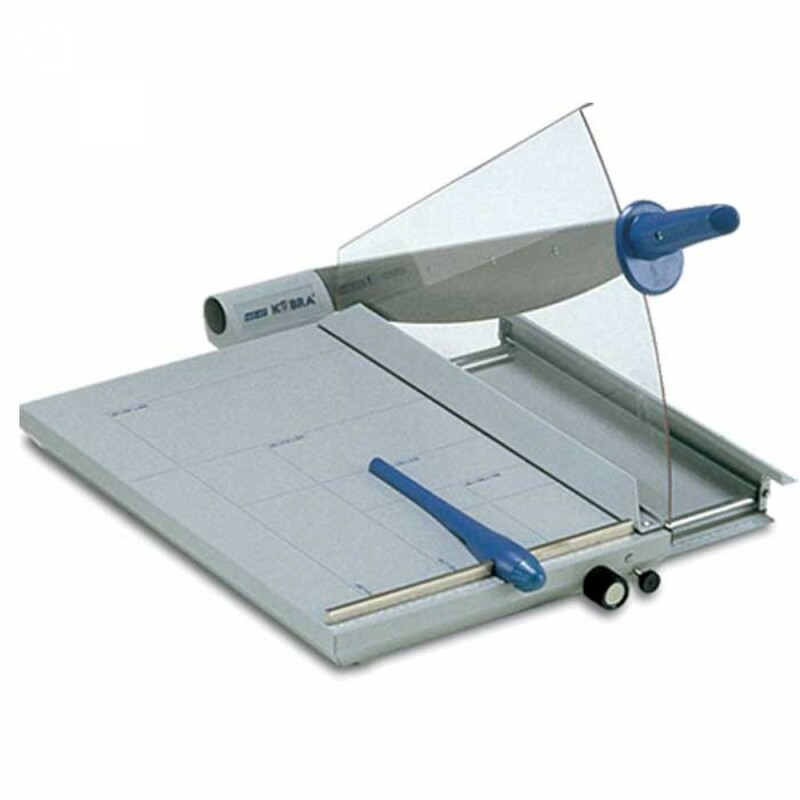 High performances desk-top guillotine designed for almost any cutting job and for a variety of material, thanks to cutting width of 22 in. The gear driven front paper bar allows the perfect paper alignment. 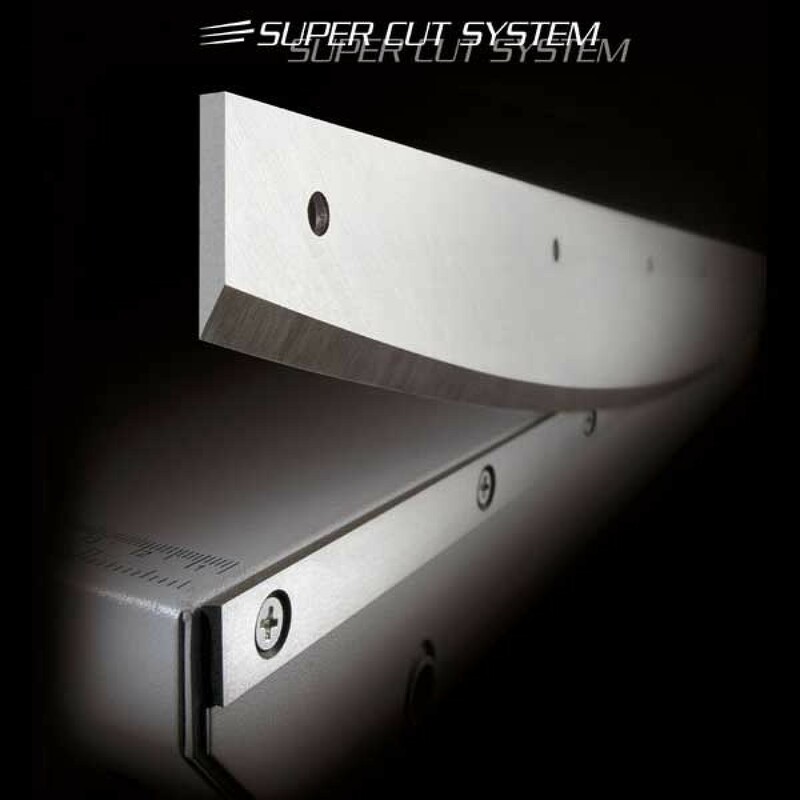 Equipped with the innovative "SUPER CUT" system featuring special carbon hardened steel blades and counter-blades unaffected by the wearing action of the materials to cut, for long-lasting cutting operations with the same cutting precision through the years.